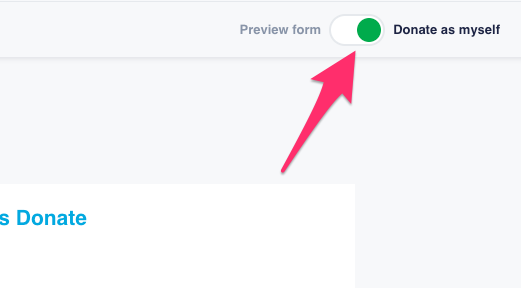 The form editor lets you preview changes to your form in real time! 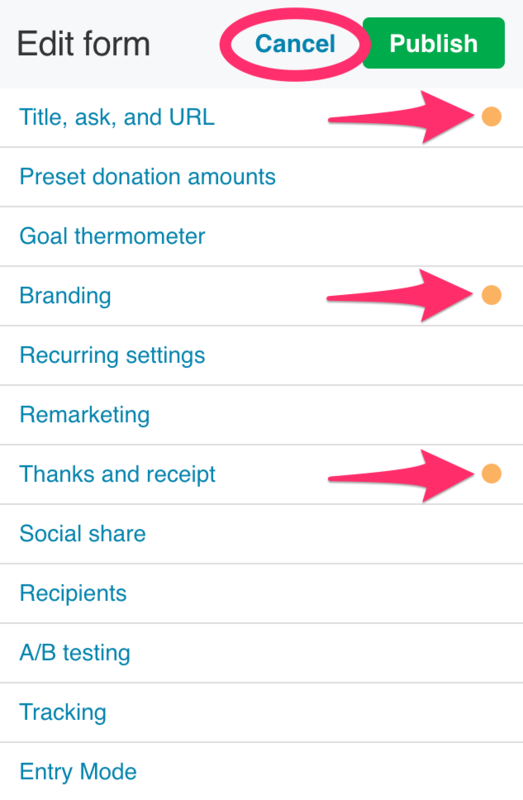 When you open any of your forms, you’ll see the contribution form navigation bar (form navbar) at the top. Open up the form editor by clicking the “Edit” button, the first button on the form navbar. The form editor includes all of the tools you need to customize and promote your form, from changing the text to customizing donation buttons and recurring settings. As you make edits keep in mind that you can view your form as different people: yourself, a first-time donor, a returning donor, or an ActBlue Express user. Form viewing options are always in the upper right corner of the form navbar. 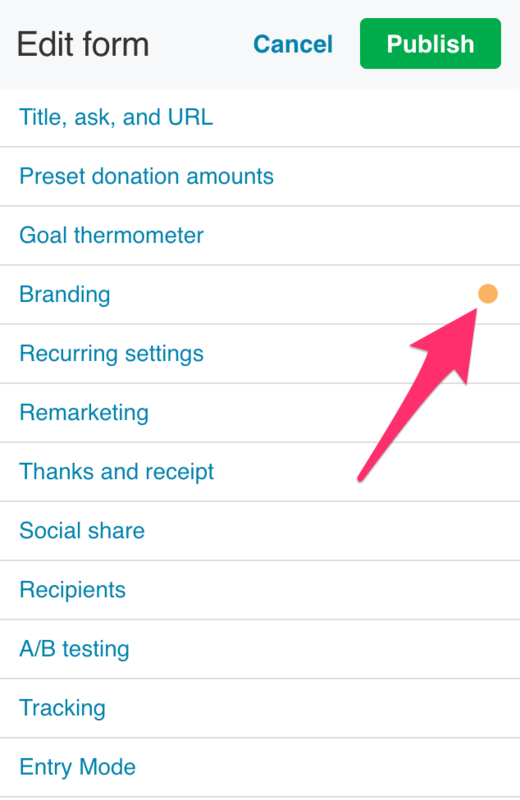 Note that you can only donate on a form you manage when you exit out of the form editor and turn on the “Donate as myself” toggle. 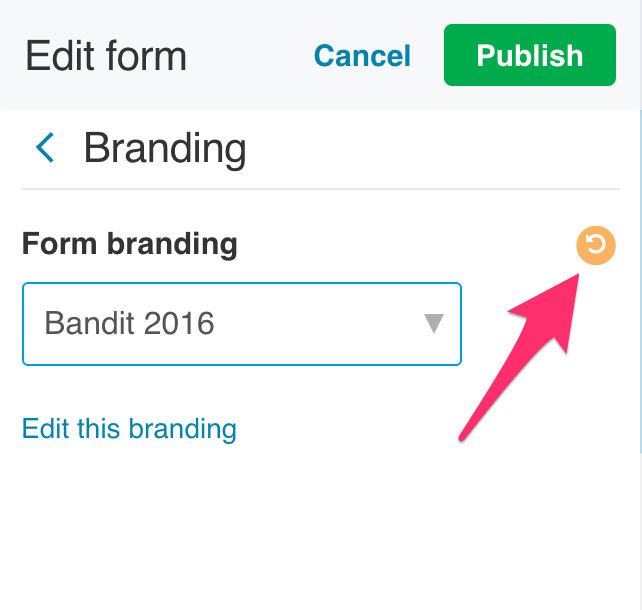 If you make a change in one tab of the form editor and then go back to the main menu without publishing, an orange dot will appear next to the tab name in the main menu to help you keep track of all changes made.